Iron is widely distributed in nature (the crust), but since iron is easily combined with other elements to form various iron minerals (compounds), there is little natural pure iron in the earth’s crust. We refer to iron ore as an iron mineral that is capable of smelting iron under modern technological conditions and is economically cost-effective. Iron ore is composed of one or more iron-containing minerals and gangues, which are also entrained with some impurities. The gangue is also composed of one or several minerals (compounds). Iron-bearing minerals and gangues are called minerals and are compounds with a certain chemical composition and crystal structure. 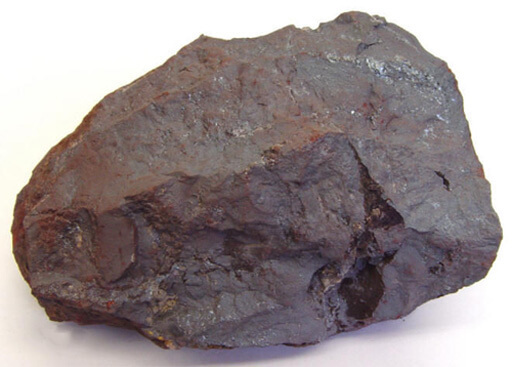 Types and characteristics of iron ore There are many iron minerals in nature. 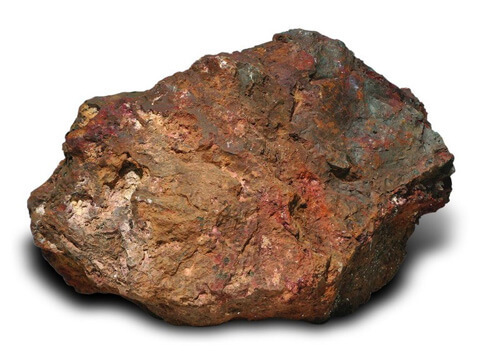 More than 300 kinds of iron ore are known. However, there are only 20 types of iron ore raw materials used at this stage, the most important of which is magnetic. Iron ore, magnetite, hematite, limonite and siderite, the following is an introduction to these four types of iron ore. The main iron-bearing mineral of magnetite is triiron tetroxide, and its chemical formula is Fe3O4. The theoretical iron content is 72.4%, the appearance color is usually carbon black or slightly light blue black, metallic luster, streaks (color appearing on the board when the surface is uneven on the white porcelain plate) black. Commonly known as the green mine. 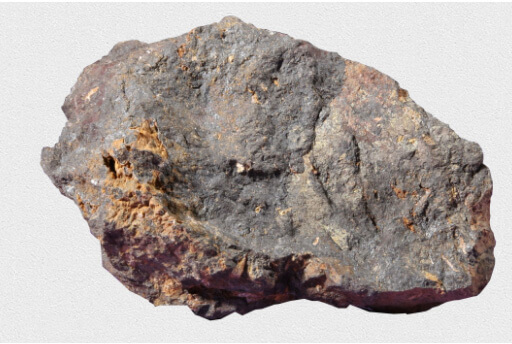 The most prominent feature of this ore is its magnetic nature, which is also the origin of its name. Magnetite is generally very hard, dense in structure and poor in reducing performance. Generally, the hardness of magnetite is between 5.5 and 6.5, and the specific gravity is between 4.6 and 5.2. This ore is widely distributed in nature and has abundant reserves. However, the pure magnetite in the surface of the earth’s crust is rare, because magnetite is a non-high-valence oxide of iron, so oxygen or water should continue to oxidize. Oxidation causes some of the magnetite to be oxidized to hematite, but still retains the crystalline form of magnetite, which we call imaginary hematite and semi-artificial hematite. Usually, we use the following method, which is the ratio of total iron (TFe) to ferrous oxide (FeO) in iron ore. The theoretical value of pure magnetite is 2.34. The larger the ratio, the oxidation of iron ore. click to know types of gold washing machine, types of iron ore, types of sand washing machines. It should be noted here that this division applies only to iron deposits consisting of single magnetite and hematite. If the ore contains iron silicate (FeO•SiO2), iron sulfide (FeS) and iron carbonate (FeCO3), etc., since FeO (or Fe++) is not magnetic, if they are compared, they will be calculated in FeO. Illusion. In addition, some magnetites also contain oxides of titanium (TiO2) and vanadium (V2O5), which we call titanium magnetite, vanadium magnetite or vanadium-titanium magnetite. Also associated with pyrite (FeS) is called pyrrhotite. Hematite refers to a ferric oxide containing no crystal water, and its chemical formula is Fe2O3 (iron oxide). The pure hematite theoretical iron content is 70%. Its appearance is from red to light gray, sometimes black, and the stripes are dark red. Commonly known as “red mine.” The hematite crystal structure is different, from very dense to very loose and very soft powder, so the hardness is not the same, the former is generally between 5.5 and 6.5, the latter is very low. Generally easier to restore than magnetite. The specific gravity is between 4.8 and 5.3. Hematite is abundant in nature, but pure hematite is less, often co-existing with magnetite and limonite. Limonite is a ferric oxide containing crystal water, and the chemical formula can be expressed by mFe2O3•nH2O. It is actually composed of a mixture of goethite (Fe2O3•H2O), water needle iron ore (2Fe2O3•H2O), iron hydroxide and mud. Most of the limonite in nature exists in the form of 2Fe2O3•3H2O. According to different crystal water content, limonite can be divided into water hematite, needle hematite, limonite and the like. Limonite is weathered from other iron ore, so its structure is relatively soft, small specific gravity and large water content. Limonite has different colors due to the different amount of crystal water, from tan to dark brown or black gray. The streak is yellowish brown. The crystal water of limonite is easily removed when it is dried. The limonite (the limonite after dehydration) has many pores and is easy to be reduced. However, due to the small hardness of the limonite (1~4) structure and a large amount of powder, it is generally necessary to pass the agglomeration before it is suitable for blast furnace smelting. Siderite is an iron carbonate with a chemical formula of FeCO3 (iron carbonate), a theoretical iron content of 48.2%, a FeO content of 62.1%, and a CO2 of 37.9%. 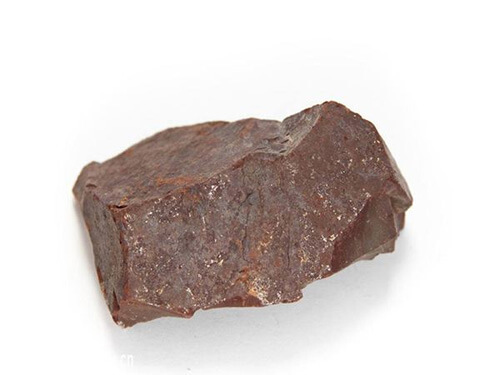 Common in nature is hard and dense siderite, the appearance of the color is gray and yellow-brown, the specific gravity is 3.8, the hardness is between 3.5 and 4, and it is non-magnetic. The siderite is easily weathered into limonite under the action of oxygen and water. Covered at its surface. The siderite is often mixed with carbonates such as magnesium, manganese and calcium. The siderite is generally not high in iron content (30-40%), but after calcination, the iron content of the CO2 is significantly increased due to the liberation, and the ore becomes porous and becomes an ore with good reduction. JXSC provides various of mining equipment for types of iron ore, iron ore process flowsheet design is available. besides, we produce mining machines include gold washing plant, gold trommel, stone crushers, jig concentrator and so on, applies in different mining plants like gold, tin, manganese, coltan, iron, titanium, etc. contact us to know the latest price of coal crusher machine, DMS plant price.